Secure your computer network against any virus attacks or intrusions from the outside. We can set up and configure firewalls, anti-virus software or tweak your existing systems to close security vulnerabilities in your operating system. We offer small businesses various security packages which include data backup and recovery solutions as well. We provide complete Computer Support for small and large businesses as well as home office based businesses. We offer hourly support and several computer support plans at a reduced rate. Check the status of help desk requests. Check the monitored status of your computer network. Unlimited remote support. Our in-house remote techs can remotely diagnosis and repair most issues. 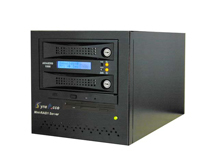 This allows fast response times to any system critical issues. If a reported issue cannot be resolved by our phone support team then the reported problem is forwarded on to our in-house remote support techs. They can establish secure access to your computers and can work on your problem immediately. Usually remote support can resolve a third of all reported issues and allows a problem to be diagnosed and fixed without an on-site visit from a technical engineer. If remote support cannot resolve a particular issue then the reported problem will be quickly escalated to a technical engineer who will schedule an on-site visit usually the same day. Unlimited on-site visits. If phone or remote support can’t fix a specific issue, we will quickly send a technical engineer to your on-site location. Our help desk team will escalate your service call as needed to the appropriate technical engineer who can best deal with your technical issue. As help desk staff as well as engineers are assigned to your requests, all support activity is documented and logged so you are continually updated as to the status of your requests. Our experienced on-site technical engineers are sent to your premises anywhere in the DFW metroplex area to resolve problems that could not be promptly resolved by our phone or remote support techs. Unlimited computer breakdown break/fix service. You only pay for hardware and parts that are replaced. If a PC or server has a defective hardware component, we will request your approval for a part replacement and then order or obtain the necessary part as quickly as possible to correct the problem and ensure all is working as normal. The PC or server then continues to be supported through the Support contract and the replaced parts will be covered under the their manufactures warranty. Contact us today to enquire about a Computer Support Package customized for your business.